The episode starts with mayasura shocked and he says even I am a cobra? No. this is impossible, I am not a cobra, no this cannot happen to me. mayasura says what is happening to me? ganesh says look at yourself, you are a cobra. Mayasura looks in the water and sees his reflection and says I am a nag. Mayasura is sad. Durgamasura keeps praying to tamsik mata. Ganesh sees durgamasura inside the cave and outside he sees all the innocent nag’s hurt and under maya of mayasura. Ganesh says I am hurt by looking at these innocent cobras. Mayasura says I am a cobra too? Mayasura falls down and he starts eating mud too and says even I am eating mud like the other cobras. Ganesh says mayasura, you made all nag’s eat mud and now even I am making you eat mud by using maya on you, you shall suffer your sins. Mayasura eats mud and says my body is turning very hard, I cannot move, even I am a cobra. Ganesh says I have to stop durgamasura too. Durgamasura cuts his hands again and then he gets more hands appearing behind his body. Durgamasura says I shall soon get more, now only some sacrifice has been done, more will be done later and this way I shall become even stronger and powerful. Ganesh says I will use my divya powers and bring back shesh naag and his wife fine, my powers will remove the mayavi mud from their body and everyone will be fine again. ganesh says om gan ganpatey namaha and he touches shesh naag and his wife too. After ganesh’s touch, their body starts glowing as ganesh continues saying the mantras. Shesh naag and his wife come back fine and alive, ganesh’s powers awaken all the chakras in the body of shesh naag and his wife, as the chakras awaken shesh naag and his wife awaken from the unconscious. Mayasura there eats mud as his body turns to stone slowly. Mayasura says how did I come into this kid’s maya? Ganesh says to shesh naag, you have to help me awaken all the cobras soon. Shesh naag says but how? Ganesh says by the same mantras which awoken you and awakens all the universe. Shesh naag says so om gan ganpatey namaha. Shesh naag says yes, I and devi nag laxmi will awake everyone. Mayasura gets up free from the maya. Ganesh says so you are back again. mayasura says yes. Shesh naag says let me give him a punishment son lambodar. Ganesh says leave him to me, I will teach him a lesson. Mayasura says filthy kid, you cannot do anything. Ganesh says I forced you to eat mud and I will punish you too. Shesh naag and his wife devi naglaxmi say the mantras of ganesh and they wake up all the cobras steadily. Lambodar fights mayasura and says lambodar is our son, he has been born and he is capable to kill this demon. Mayasura says I have not yet showed all my powers, now see the effect of my powers. Ganesh thinks of the statue and says yes, it makes him more powerful. Ganesh says use all your powers, I will show you the power of my complete mantra. Mayasura in his statue form screams with his maya powers, the wave goes and hits all over naglok. Ganesh then says the mantra om gan ganpatey namaha. Lambodar says the mantra and its power overcomes the power of mayasura and his maya. Maya screams and says this maya is unbearable for me, mayasura screams. All cobras wake up fine. Ganesh continues saying the mantra and prayer as mayasura screams. Mayasura says it is paining a lot. Ganesh’s mantras destroy the statue of mayasura and mayasura says no, my idol has been destroyed! It is impossible. Ganesh says soon, you will be killed. Precap: Mayasura goes to brahma lok and uses his maya on brahma dev and saraswati. Brahma dev stops lambodar form and says you cannot enter here. 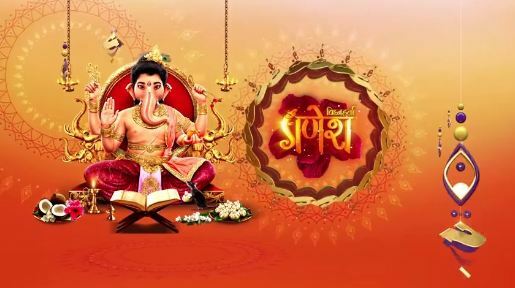 The post Vighnaharta Ganesh 8th March 2019 Written Episode Update: Lambodar destroys mayasura’s statue. appeared first on Telly Updates.